It took a long time to solve the puzzle of the aluminium wreckage recovered over a number of years of family summer holidays on Lindsway Bay (See story “The Aluminium wreckage of Lindsway Bay, Pembrokeshire”). The main conclusion after many years was that it was heavy duty and probably part of a launch or small ship. Also it had not been in the sea very long, as it lacked the corrosion shown on the aluminium parts of the World War II Sunderland flying boat raised from the sea bed for the Sunderland Museum in Pembroke Docks former naval dockyard. 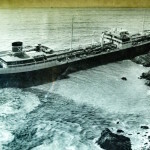 So now I must tell you the rather bizzare tale of the wrecking and loss of the tanker Donna Marika. 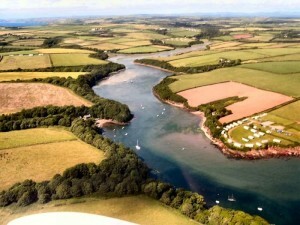 This is an interesting story for me, because we locals in Pembrokeshire are from time to time assured by the new energy industry at how safe the industry is as a result of new technological advances, so there can be no accidents only benefits from having the energy industry on our doorstep. These promises were first made in 1960, when the first oil refinery was to be constructed on fine farmland obtained by compulsory purchase order from our farmers. 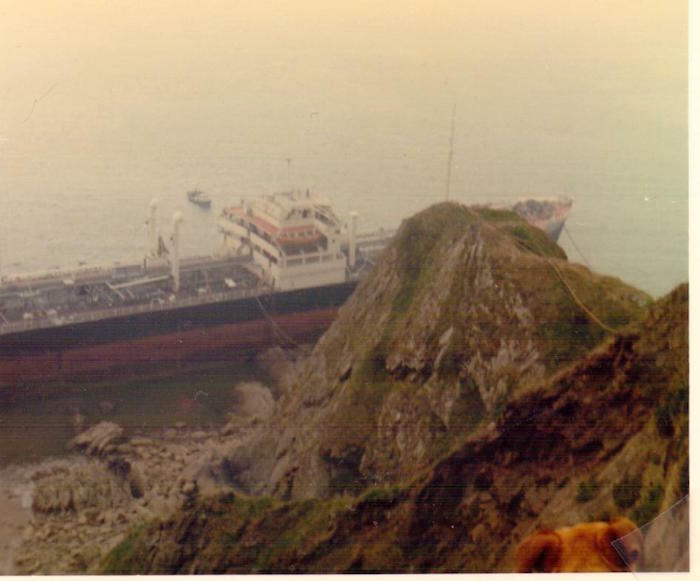 With hindsight, we now know that regardless of technology, there remains the human factor that has resulted in a series of “impossible” accidents culminating in the major oil spill (72,000 tons of crude oil) from the 147,000 ton super tanker Sea Empress in the Milford Haven Waterway on 15th February 1996. The story of the Donna Marika is one of those “impossible” accidents resulting from human frailty. 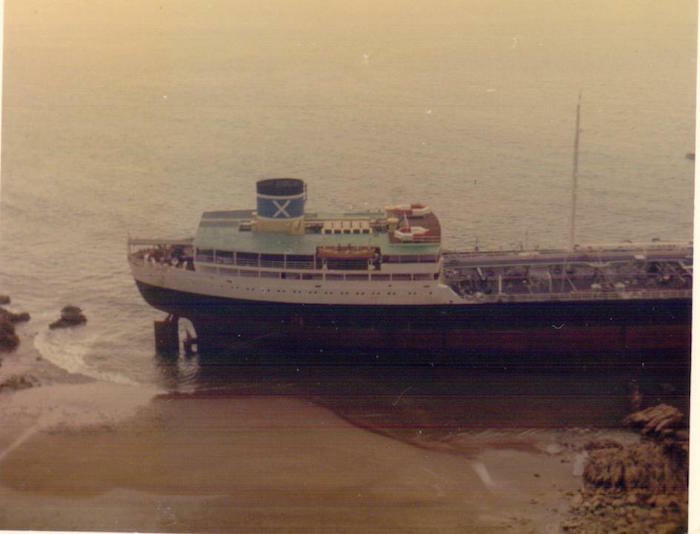 On the night of 5th August 1973, the Donna Marika, with a full cargo of aviation spirit, was anchored near the entrance to the Milford Haven waterway. 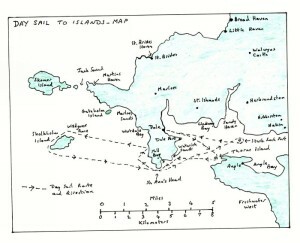 Strong south-westerly winds developed and the ship began to drag her anchors. Now when a ship drags anchors, the chain cables make an infernal racket sounding as a deep rumbling. Now her crew of 38 Russians seem to have been unconscious and nobody was on watch. The ship dragged right across the Milford Haven Waterway and the Coastguard tried frantically to raise the ship by radio, but there as no response. Finally the ship dragged past the light house on Great Castle Head adjacent to Lindsway Bay, where the Coastguard in a final desperate attempt to wake the crew, fired rockets at the bridge of the ship, without success. She went shore under the sea cliffs on the west side of Lindsway Bay. The Angle lifeboat stood by all night but the ship was unapproachable being broadside to the storm waves. 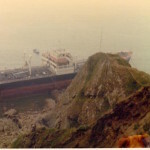 The hull was breached and 3,000 tons of highly inflammable aviation spirt escape into Lindsway Bay, where it as trapped along the base of the cliffs. Belatedly the crew revived in a desperate situation. There must have been some panic for they launched an aluminium lifeboat into the surf, that was broken up on the rocks. 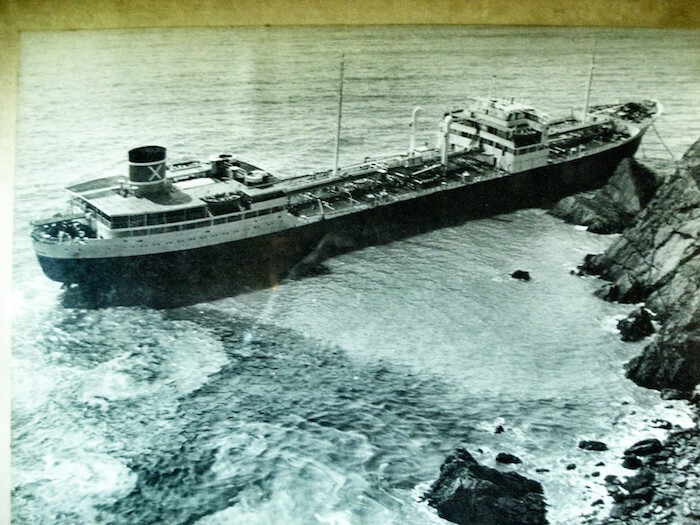 The crew had to remain aboard for 6 hours after the grounding, before being taken off. Meanwhile fumes from the evaporating aviation spirit were blown over the cliff top to engulf the village of St. Ishmaels. 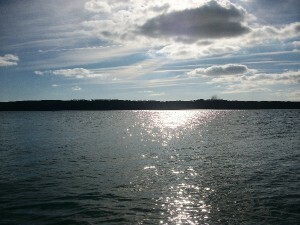 The village was evacuated for several days, until the tanker as rendered safe. She remained on the rocks until 13th November. 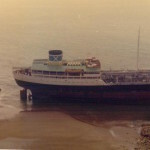 The ship was towed to Falmouth, Cornwall and declared a total loss, then sold to Spanish shipbreakers, and broken up at Alicante. The villagers of St Ishmaels all received compensation for the trouble, but were not very pleased to find that each household received an envelope containing 50 pence. The bell from the Donna Marika was presented to the village and can be seen today in the village sports club house. So in the 1980s, on summer holidays with my family at Lindsway Bay, we found and salvaged some remnants of the lifeboat.